Caregiver Cheat Sheet: Final Expense Insurance, Boon or Bust? You can’t miss the commercials for final expense insurance, sometimes called guaranteed acceptance insurance. Sold (aggressively) to seniors, this insurance is touted as a way to keep a surviving spouse from worrying about often burdensome funeral expenses, and the other costs that crop up unexpectedly after the loss of a loved one. Since many seniors are either too old, or have too many interesting ailments, to qualify for traditional life insurance, the guaranteed aspects of these policies are very appealing. No medical exam means anyone can get this insurance, which seems like a blessing. But seniors and caregivers should know that there are a lot of reasons why final expense insurance is more of a bust than a boon. And the way that these policies are marketed, directly by phone and mail, means that family members, caregivers, home care companions, and seniors all need to be aware of what too good to be true can look like. Why is covering a loved one’s final expenses so important? 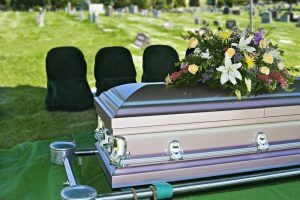 Consider that the national average cost of a funeral ranges between $7,000 and $10,000, depending on what part of the country you’re in and how fancy you want the casket and headstone to be. That’s before flowers! So a conscientious senior may worry considerably about saddling a spouse or child with such a hefty expense during a very emotional time, when making rational financial decisions is more difficult than usual. And if your loved one has thoughtfully pre-paid for their funeral – yes, that’s a thing – then there are twenty other ways that the death of a loved one can add financial pain to the emotional pain. Life insurance is easier and cheaper to get when you’re young, but it’s more important and more reassuring to have when you’re older. Whether called final expense, guaranteed acceptance, or guaranteed issue, these policies are designed to appeal to the exact people who need to make the most careful financial decisions. It’s very expensive insurance: because there is no medical exam or underwriting, this insurance is a bigger gamble for the carrier than traditional insurance. So they charge more in premium for each dollar of coverage. Hidden pitfalls in the fine print: shockingly, most of these policies don’t pay out the face value if the insured dies within the first two years of coverage. Other policies have graded coverage, where the coverage phases in by increments of 25% over the initial two years. It’s not permanent unless it’s permanent: there are so many types of insurance policies, but unless you are sure that you are buying permanent insurance, your premiums won’t accrue cash value over the years. This means that if you cancel the policy or miss a payment, you lose both your coverage and all the money you’ve paid in as well. The way it’s sold lends itself to fraud: these types of policies are very commonly sold via direct marketing, and the sales material rarely shows the long-term numbers, benefits, and conditions of the policy. 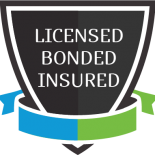 When a licensed insurance agent sells you a policy in person, they are obligated by law to show you the projected performance of the policy and all the fine print. TV ads, telemarketers and direct mail inserts have no such obligations. Life insurance has changed a lot in the last decade, and the eligibility parameters may have changed since the last time you shopped for coverage. Seniors may be surprised by the traditional policies that they may qualify for, so caregivers and loved ones shouldn’t assume they need to resort to this kind of policy. There are other ways to achieve peace of mind, such as pre-paying for a funeral, investigating traditional life insurance, or simply putting aside the premiums you would have paid into a final expense policy. When it comes to final expense insurance, avoiding the risks of misunderstanding the terms of the policy, or outright malfeasance, is the best way for you and your loved ones.